Posted on 19, April 2016 by EuropaWire PR Editors | This entry was posted in Business, Finland, Internet & Online, News, Retail, Security & Safety and tagged Business, cloud solutions, cyber-security, data erasure, data security, Dubai, Dubai Internet City, erasure software, INDIA, Internet Security, Jyri Roselius, Middle East, mobile erasure, mobile software, mobile technology, Mohamed Akram Khazi, network and security management, Online Security, Piceasoft, RAS Infotech Ltd, security software, United Arab Emirates. Bookmark the permalink. TAMPERE, Finland, 19-Apr-2016 — /EuropaWire/ — Piceasoft and United Arab Emirates-based RAS Infotech have signed an agreement to offer Piceasoft’s full product portfolio to their customers in the Middle East and India. The initial number of shops where the solution will be offered is expected to grow to thousands. RAS Infotech’s target is to create a faster and more cost-efficient device trade-in process. The traditional value chain is disrupted: business model is based on voucher sale, enabling end users to perform device erasures themselves, which raises customer satisfaction, security and reduces costs. 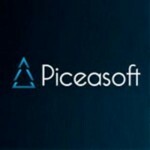 Piceasoft is an innovative and agile software company developing products to simplify people’s mobile life, established in 2012. The company provides computer and Cloud solutions for retail and consumers: once buying a new smart device, the precious data from the old device is transferred safely, available immediately in the new device, and erased from the old phone to recycle it. Solutions also include phone analysis for repair and buyback. PiceaSwitch™ allows transferring all personal data from old to new phone as well as backup/restore; with PiceaDiagnostics™ service centers and repair shops can save money by finding No-Fault-Found (NFF) causes on the spot as well as estimate the value of phone for recycling; PiceaEraser™ is a software product that enables safe disposal, reuse or resale of mobile devices by permanently erasing all the sensitive user and system data; PiceaVerify™ checks that the device is acceptable for resale/service: Are Anti-Theft locks (de)activated; Is phone stolen; Are SIM card and Memory Card inserted? RAS Infotech Limited, Dubai was established in the year 2000 with its office in Dubai Internet City and with the sole objective of providing complete Network Security and Network Management Solutions in the Middle East and Africa. Our mission is to deliver world-class information security management products to our customers, which will provide secure access to the internet and enhance the efficiency of the business processes. RAS has in over 15 years of its existence accumulated more than 1000 satisfied clients. It is to the credit of its sales and support teams and consulting professionals that the clients renew their faith in RAS year after year.